Xana Romeo is an enchanting Reggae songstress poised to represent the new generation of musical storytellers with her divine feminine presence, playful melodies and captivating voice. Born Azana Makeda Smith on August 26, 1994 in the historic Kingston community of Greenwich Town, the young reggae siren’s musical education began at a tender age under the keen eyes and ears of her father, veteran Reggae singer Max Romeo, a wise teacher who encouraged his youngest daughter at every step along her natural progression. “The purpose of my music is the message. When someone listens to Xana Romeo's songs I want them to feel inspired and motivated to carry out any personal self-cleansing by the renewal of their minds,” she says. Selector Yaadcore caused some excitement in 2016 when he released the ‘Mercy Please’ mixtape as a prelude to future works, introducing Xana Romeo in spectacular fashion. Booming bass and piercing chants shook the reggae revival as the lioness roared, with Yaadcore and her father Max Romeo, musical icons in their own right, providing the musical balance. Xana immediately enraptures listeners with her unique instrument and arresting presence, while her powerful messages touch hearts, open eyes, and inspire minds. She wails and she whispers, pouring the word as a libation cooled by mystical dub; she chants and she dances, creating a striking allure as captivating as her mythical name. After years of patient development, this child of the music is now ready to share her signature vocal stylings with the world of reggae. 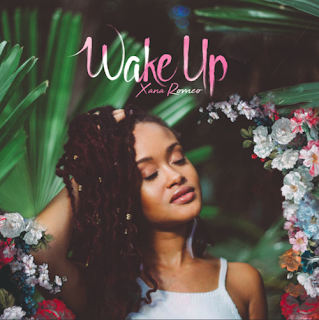 Now, in this time, Xana is ready to offer her first full-length project entitled ‘Wake Up’, a sonic alert to arouse the consciousness of humanity. 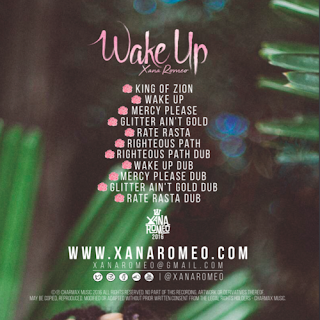 The ‘Wake Up’ project invigorates the atmosphere with the undiluted essence of Reggae music at a time when it is most needed. These powerfully delivered messages pulsate from speakers, and rest on the heart and mind of the listener. With six full-length songs and five dub-versions, the 11 track compilation provides a balanced space for Xana to paint a beautiful tapestry with her lyrics and music, and also tunes the senses to the future of Reggae. The project is available for purchase on all digital media platforms from Friday December 9, 2016. Xana Romeo invites all to join her in awakening humanity to its truest potential by spreading the message of universal love, peace and acceptance.